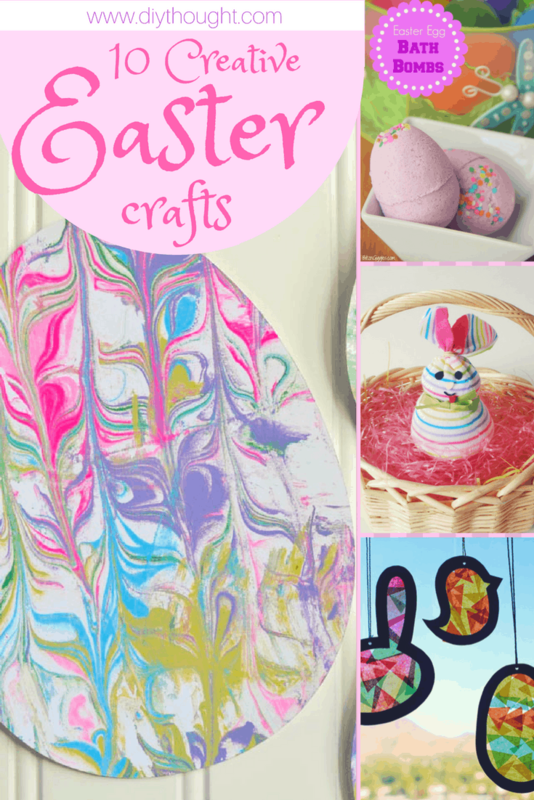 It is time to get the craft supplies out for some Easter crafting fun! 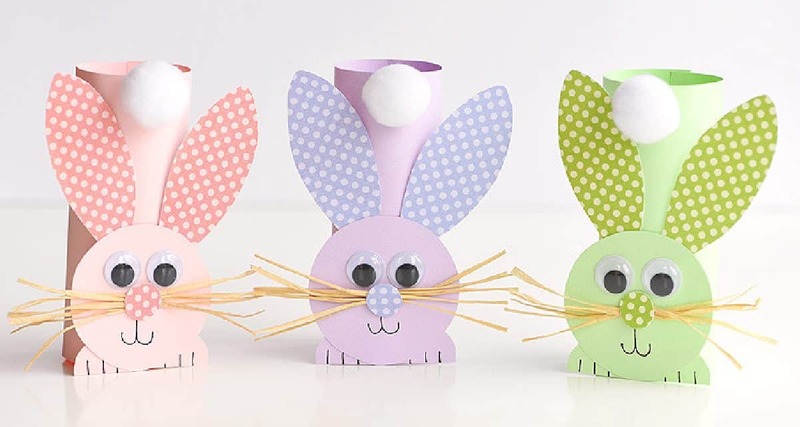 Bunnies, chicks, eggs, we have all sorts of creative Easter crafts here and suitable for all ages. 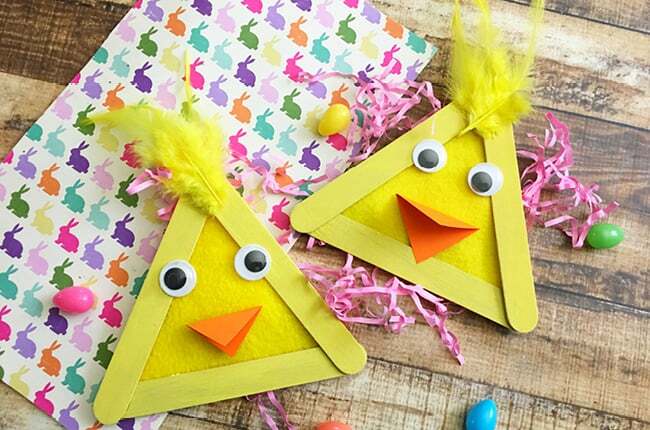 These 10 creative kids Easter crafts will keep kids busy this Easter. Made from cardstock this is a relatively mess-free Easter craft. 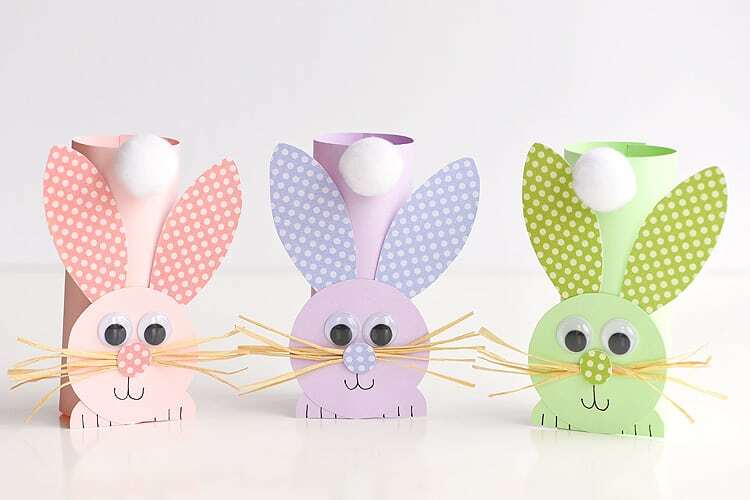 One Little Project has a great, easy to follow tutorial showing how to make these cuties. This is the perfect craft for kids who love to get a little messy! 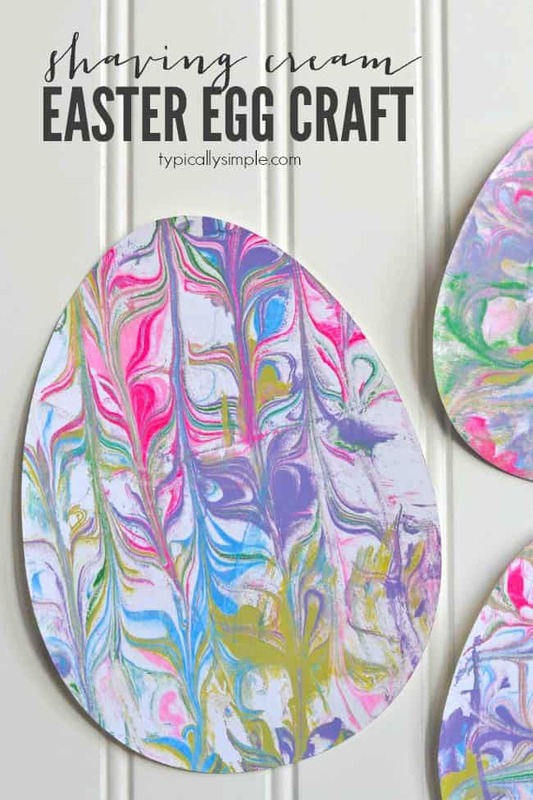 Make an amazing paint design in shaving cream and then place on your egg-shaped cardstock to transfer the design. Click here to read the full tutorial. Super cute and simple enough for our youngest crafters to make. We love these Easter chicks! Follow this link to find out more. 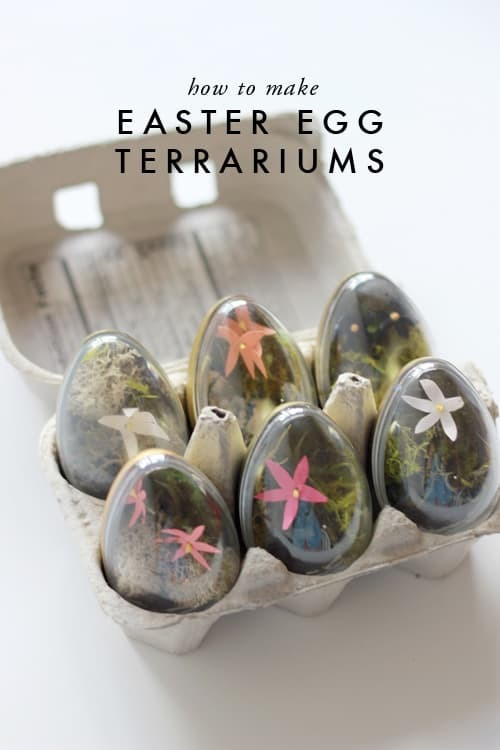 Easter egg terrariums are a great craft activity for teens and adults and with a little help fun for younger children. Complete with a paper flower these terrariums are simply stunning. Click here to read the full tutorial. 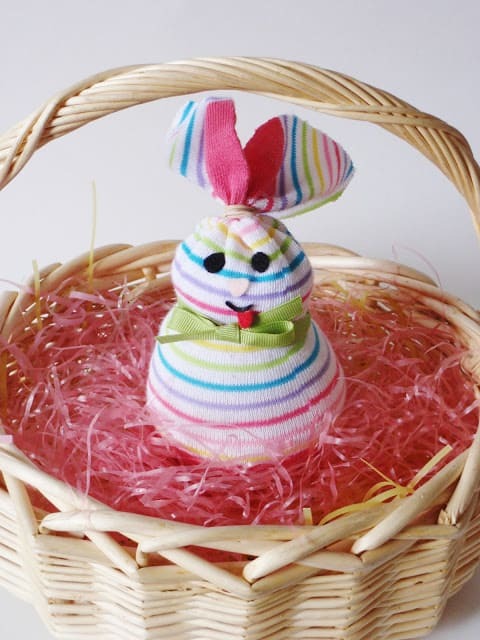 No sewing is involved when making this adorable little sock bunny making it ideal for young children. Wanting to make a sewn sock bunny then check out these beautiful bunnies! To view the full tutorial of this no-sew bunny, click here. 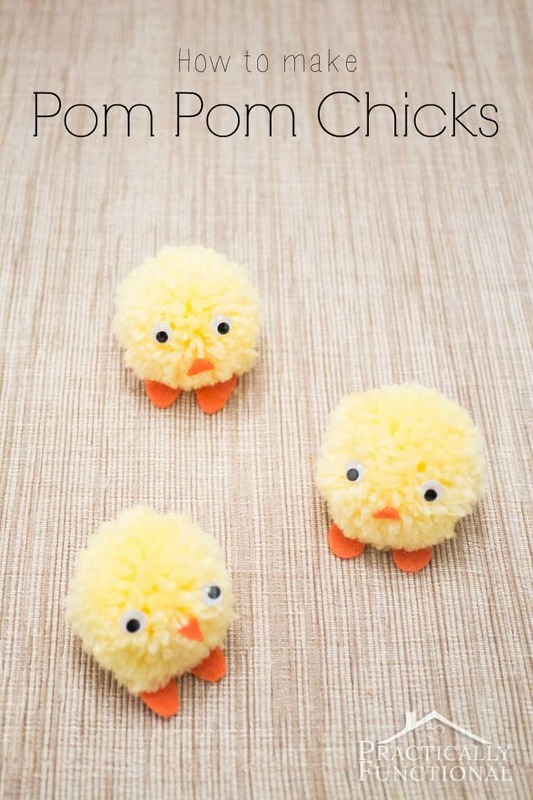 Pom pom chicks are super easy and super fun to make. Read more about them here. 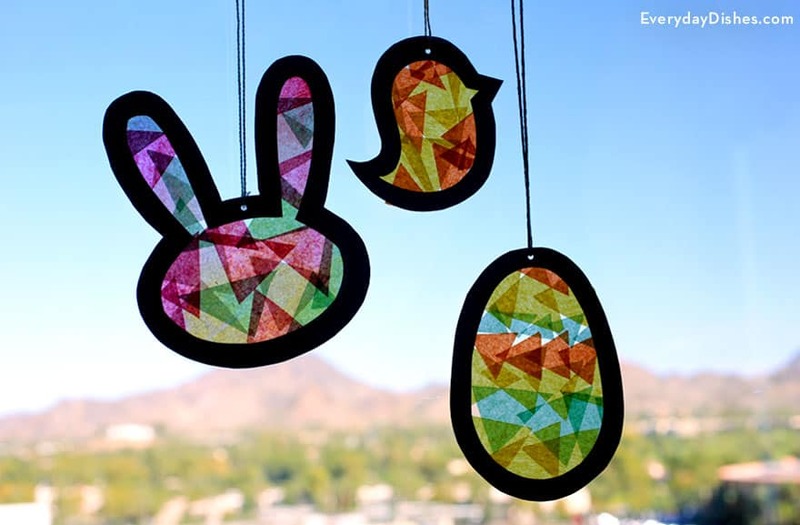 These beautiful suncatchers make a lovely Easter window display. To get the free template and all of the instructions, click here. 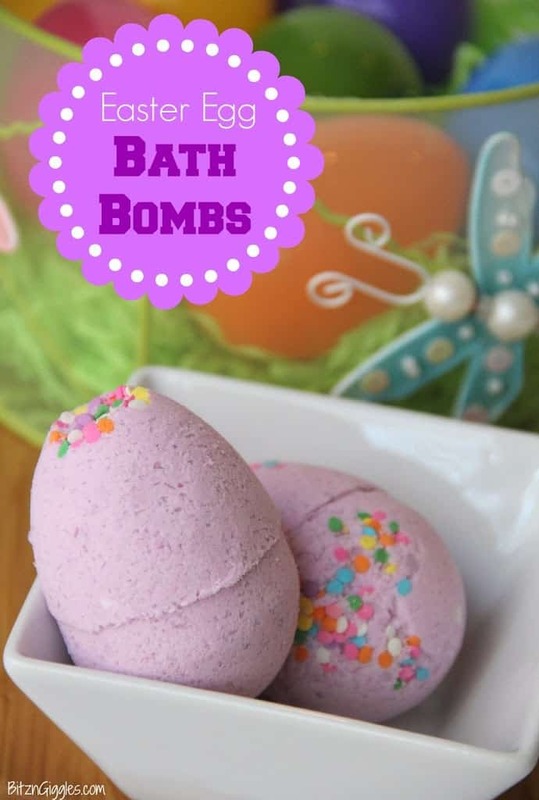 Kids will love making their own bath bombs! They make great non-chocolate gifts or just keep them to add to bathtime fun! Get the recipe here. 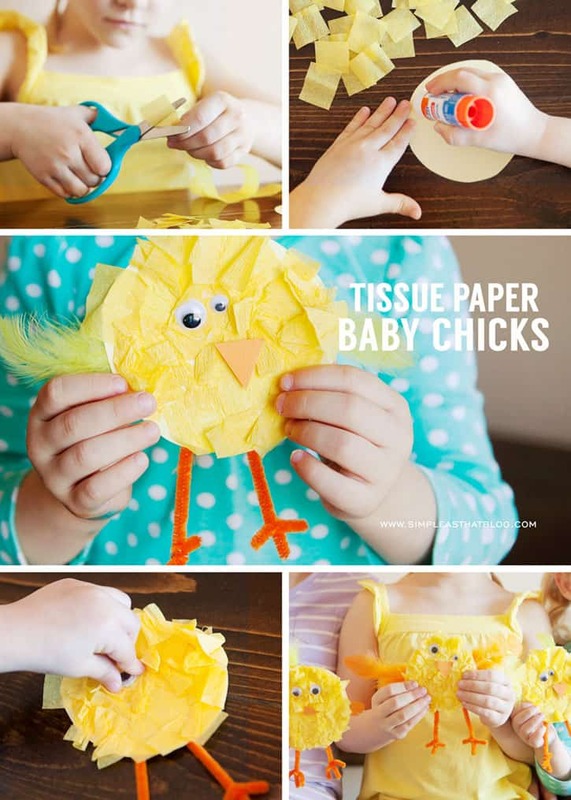 Tissue paper chicks are so sweet. Cover some cardstock with tissue paper before adding the eyes, feathers, beak, and legs. Click here to read the full tutorial. 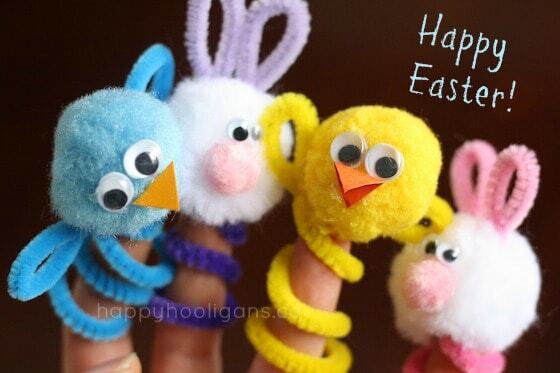 Easy Easter finger puppets are as fun to make as they are to play with. Head over to Happy Hooligans to find out more.